The County of Culpeper's Public Law Library is housed inside of the Culpeper County Library in the Information Services Department. Our Public Law Library is a collective of digital eResources and print legal materials. Print legal materials that are part of the Public Law Library collective are currently housed with the Library's print reference collection, adjacent to our Local History Room. The Library also houses a collection of legal information for the lay person. These materials are available for checkout and are located in the "340" area of our non-fiction collection. The Public Law Library is available during the same hours that the Library is open. See our homepage for Library hours. There are no lawyers here. The Public Law Library is just that, a library and not a law firm. We are librarians, not lawyers. Per Library policy, the Library's staff does not perform actual legal research. When responding to legal questions, Library staff may help you find and copy particular court cases, laws, regulations, and court rules. They can help you find facts - the spelling of words and brief definitions, for example. Opinions, interpretations, legal advice, or personal experiences are not offered. On a limited basis, Library staff may also assist patrons needing help in navigating the Internet or using Library materials, tools, databases and other resources. We do not provide extended, individualized research assistance. WestlawNext: The Library's subscription covers Virginia and Federal law only. 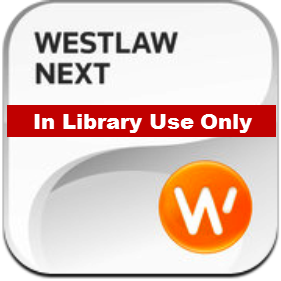 Access to WestlawNext is available for in-Library use only. It is located on a dedicated computer kept in the Library's Information Services reading area. LexisNexis Advance digital legal resources. The Library's subscription covers Virginia and Federal law only. 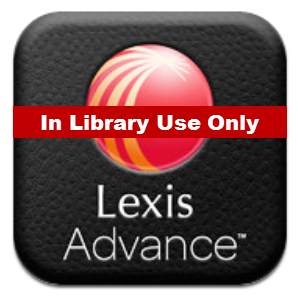 Access to LexisNexis is available for in-Library use only. It is located on a dedicated computer kept in the Library's Information Services reading area. Gale LegalForms is a database for legal forms. Create authorized, customized legal forms with Gale LegalForms! Includes State of Virginia specific forms. A step-by-step approach helps address legal affairs with confidence. Forms can be personalized in Word, Adobe Acrobat, and other formats. Drafted by attorneys. The United States Code. 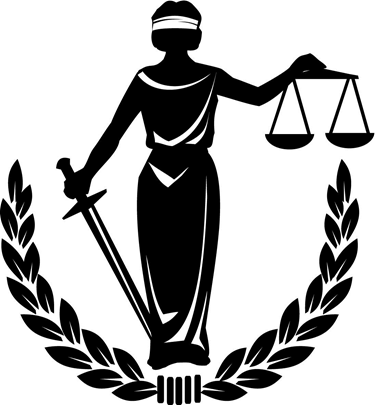 The United States Code is a consolidation and codification by subject matter of the general and permanent laws of the United States. 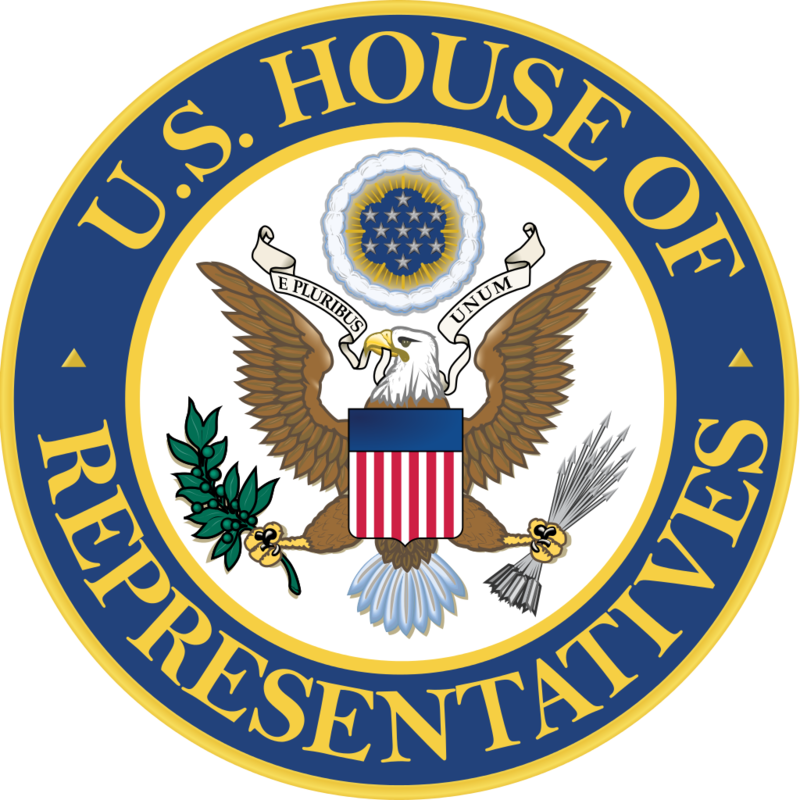 It is prepared by the Office of the Law Revision Counsel of the United States House of Representatives. The Code of Virginia contains the general and permanent laws for the Commonwealth of Virginia that have been passed by the General Assembly and signed by the Governor. The Virginia Administrative Code contains the permanent regulations for the Commonwealth of Virginia. Regulations have the force of law and are written and administered by state agencies as authorized by the General Assembly. The Virginia Administrative Code online is updated daily. The Code of the Town of Culpeper. Ordinances for the town of Culpeper, Virginia. Provided by Municode. 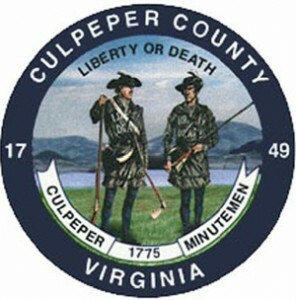 The Code of the County of Culpeper. Ordinances for the county of Culpeper, Virginia. Provided by Municode. The Division of Legislative Automated Systems (DLAS) is directed in the Code of Virginia to provide an electronic legislative information system for the General Assembly and its agencies, all other state agencies, political subdivisions, and the public. The Legislative Information System (LIS) is a free internet service that provides public information on the work of committees, floor action, and the General Assembly members during the legislative session. Use the link the immediate left to create no fault divorce forms. This is is a free service. This interactive on-line interview is designed to help you see if your circumstances might be appropriate for filing for a divorce without an attorney. As you go through this on-line interview, necessary information will be collected to allow you to print the court pleadings and forms you will need to file for a no fault divorce on your own if your situation is appropriate. This No Fault Divorce packet has been developed by a team of Virginia legal aid lawyers from across the state, for use by Virginians who cannot afford to hire an attorney to assist them in obtaining a divorce. Advance Directive forms (for health care and related decisions) from the Virginia Advance Directives website. Provides forms, information on what makes an advance directive legally binding in the Commonwealth of Virginia and more. There is also a link to information on "Picking an AD Form", since there is more than one type of Advance Directive form provided. Try also Gale LegalForms above to find more health care related legal forms, including a health care directiive, living will and medical power of attorney.